A beautiful, ideal home is a rare gem – something that won’t be easy to find, but when you do find it, you will surely cherish it for generations. It’s a true asset, which also enriches a your non-material wealth: family, relationships, precious memories and others. To Punggol comes a splendid collection of such gems: A Treasure Trove. Featuring a dazzling array of residential units, recreational facilities, landscaped gardens, and other niceties, this fresh, new, 99-year leasehold is indeed a world-class luxury condominium, completed just last year. A Treasure Trove now sparkles in District 19, right in the north-eastern region’s Punggol New Town. 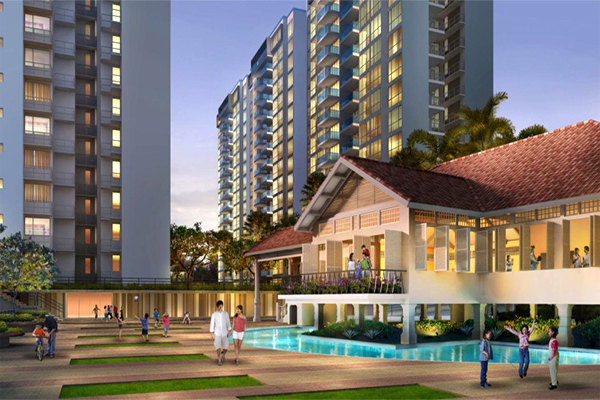 Punggol is a relatively young locale, imbued with a lot of promise and potential. 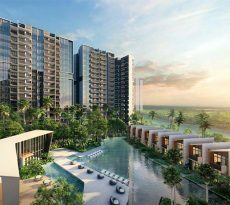 A seafront town in the works, Punggol is thoughtfully master-planned to be a serene but vibrant residential zone, supplemented with cutting-edge infrastructure and facilities. Among the things to look forward to is Punggol Waterway, which will offer an abundance of recreational options such as a waterside promenade and water sports amenities. It will also allow better access to other destinations such as Coney Island, the golf driving range, and a new horse riding centre. 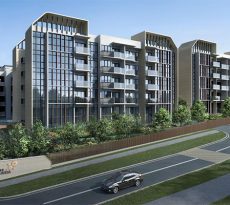 The site for the development itself is at 70 Punggol Walk, just a short distance from the Punggol MRT Station. IF you’ve got a car, it would be easy for you to drive to take the TPE, KPE, CTE, or SLE. These days, home is more than just an address to return to at the end of the day. In Singapore, property developers have really raised the bar when it comes to residential spaces: modern technology is combined with a penchant for comfort and sophistication, to produce the best homes possible. 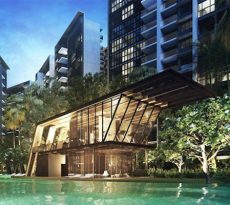 A Treasure Trove’s developer, Sim Lian JV teamed up with Design Link Architects to come up with all these amazing life spaces. So beyond having a good location, it all comes with a variety of spacious floor plans, posh interiors and a sense of satisfaction. Complementing the homes are 809 parking spaces, plus 14 spaces with handicap access. A Treasure Trove offers more than just a place to live – it also provides a haven for relaxation, building relationships, and just having fun. Take to the fitness corner regularly to boost your health and your energy. You may also opt for a game at the tennis court, or a few laps in the pool. You can also try the hydro gym for a low-to-moderate intensity workout. Your kids can have some exercise while having fun at the playground. When you need to wind down, just head for one of the many leisure pools, the spa pool, or the sauna. If you’d like to have a small party or an intimate gathering, you can do it at the BBQ area, the clubhouse or the function room. There’s also the multipurpose deck and the pavilion. Within a short walk is the town square and a new shopping mall, both currently in the works to soon provide you with a range of choices to enjoy. Also within a quick, easy trip are Punggol Plaza, Rivervale Plaza, Compass Point, and Rivervale Mall. If you like the outdoors, you’ll love how close you’ll be to Punggol Waterway Park, Sengkang Riverside Park, Punggol Point Park, Punggol Park, and Punggol Beach. You can also enjoy waterfront dining at The Punggol Settlement. For some sports or physical activities, you can drop by Sengkang Sports Centre, Marina Country Club, Punggol 21 Community Club, or Seletar Country Club. There are also a number of schools within a short distance from your new home at A Treasure Trove. Some of the primary schools close by are Punggol Green Primary, Punggol View Primary, Nan Chiau Primary, Edgefield Primary, Waterway Primary, Punggol Cove Primary, Greendale Primary, Punggol Primary, and Seng Kang Primary. Meanwhile, the secondary institutions within the area are Punggol Secondary, Nan Chiau High School, Edgefield Secondary, and Compassvale Secondary. Your older sons and daughters can go to Serangoon Junior College, Meridian Junior College, ITE College Central, Nanyang Polytechnic, or Dimensions. Ready to find your next great treasure? Take a peek into A Treasure Trove. And as you do, be sure you’ve gotten in touch with iCompare Loan mortgage broker so you can be informed and compare the most suitable mortgage loan Singapore has to offer.